Southdowns has now completed over 35,000 man hours of support services to the main contractors constructing Crossrail in London. The company has been responsible for the noise, vibration and dust management on a number of key sites on the project including Paddington Station, Westbourne Park, Whitechapel and Liverpool Street Station Tunnel Platforms, Pudding Mill Lane, Victoria Dock Portal and also the systemwide track and fit-out. The range of services provided has been extensive and includes: attended and unattended continuous monitoring and reporting; calculation of airborne and groundborne construction noise and construction groundborne vibration; preparation and management of Section 61 (CoPA 1974) consent applications, dispensations and variations; environmental design statements; design of permanent fixed equipment to comply with the project's noise commitments; testing and commissioning of permanent fixed equipment; groundborne noise and vibration from tunnel construction activities; groundborne noise and vibration from temporary tracklaying trains in tunnels; final permanent track design for central tunnels; operational management of track condition to control groundborne noise and vibration; occupational dust monitoring in tunnels; occupational noise monitoring; groundborne vibration monitoring on assets and buildings; and cumulative noise management at sites with more than one contractor. 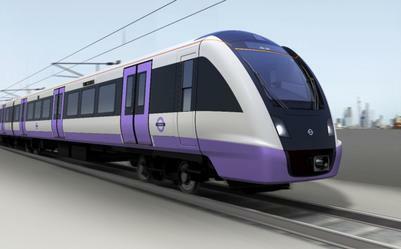 Rick Methold, Southdown's Project Director for Crossrail work, said. "The extensive and unique experience gained by our staff over the past 6 years of involvement in the construction of the Crossrail project, one of the most complex ever undertaken in the UK, has been invaluable in placing Southdowns firmly at the forefront of construction noise, vibration and dust management for major infrastructure projects in the UK. The work to date has been challenging but rewarding and will enable Southdowns to confidently develop other opportunities in a strong infrastructure market in the knowledge that we have expertise and experience that will be extremely attractive to clients wishing to manage their environmental risks effectively."